Swimming pools and hot summers go mighty well together. Unfortunately, that combination may also turn out dangerous, as more than 3,700 people drowned in the United States in 2016. During the same year, drowning was also the leading cause of preventable deaths among children between 1 and 4 years of age. That’s why our team wants you to know just how important it is to follow some important safety tips to avoid accidents. Anyone who owns a private swimming pool must be trained in CPR. While there are plenty of CPR classes online, it might be safer to take a CPR certification course with the American Red Cross or local fire departments. Have a life ring or life hook handy in case you need to pull someone out of the water. Also, make sure you story any rescue equipment near the poor in a location that is both accessible and clearly marked. Keep a first aid kit nearby as well. When it comes to child safety specifically, having a fence around the area is a top priority. If you have an above the ground pool, then put a fence around the steps or ladder. Experts say that diving boards are behind many of the incidents resulting in pool-related injuries. Even to those who are well-acquainted with pool diving are at risk. Removing diving boards if you have them could save a life. Another important safety step is to make sure that all drain covers are inspected regularly. And that’s because people can drown due to the suction pressure from a drain. Covers must be rounded, and they must be replaced if you find cracks or missing screws. Gather your family and educate them, especially the kids, on pool safety. Explain that the rules are simple but essential. Tell them to never run around the pool on its deck, to never dive if the water is shallow, and to never dunk or push and hold someone under the water. Also, tell your children to never push each other or others into the pool, and to never swim without an adult supervising. 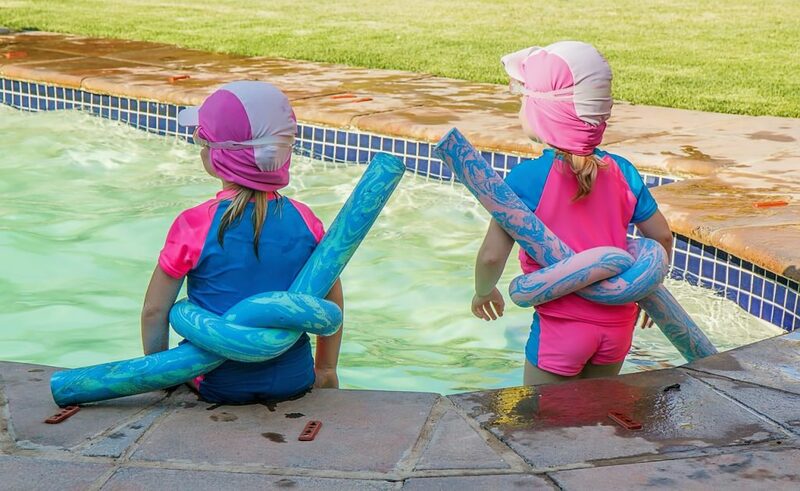 Most importantly, make sure your children know how to swim. While it won’t prevent all accidents, it will help keep children safe.